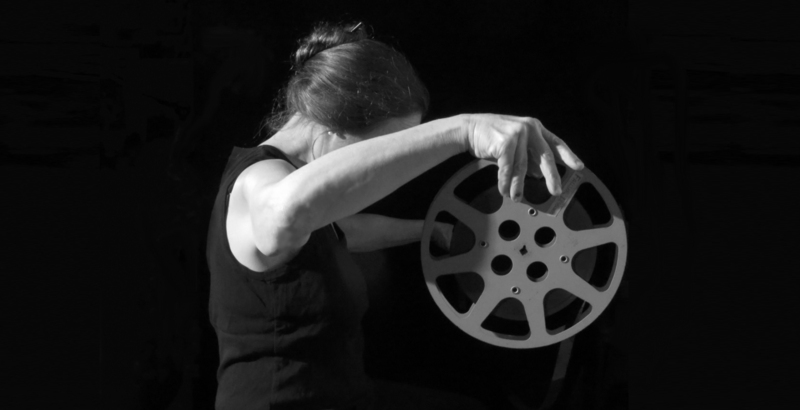 Amy Halpern’s films are abstract in their concern with light, movement and the film medium, but they are also human in their elements and themes. The idea which persists throughout her work is that liberation — from social, political, psychological, perceptual and even bodily constraints, – is indeed possible. Committed to encouraging a wider awareness of abstract film, Halpern co-founded two screening cooperatives: the New York Collective for Living Cinema (1972-1982) and the Los Angeles Independent Film Oasis (1975-1980). Halpern has collaborated as cinematographer and gaffer on many films, including Pat O’Neill’s THE DECAY OF FICTION, Charles Burnett’s MY BROTHER’S WEDDING and David Lebrun’s BREAKING THE MAYA CODE and the newly completed DANCE OF THE MAIZE GOD (aka OUT OF THE MAYA TOMBS). Halpern worked in the 1970s with Ken & Flo Jacob’s NEW YORK APPARITION THEATER, a 3D shadowplay company. She is currently a member of the classic West coast light show SINGLE WING TURQUOISE BIRD, performing on liquids and transparencies. Recent work is ASSORTED MORSELS, a suite of eight short film exaltations. It includes THREE MINUTE HELLS, INJURY ON A THEME, BY HALVES, PALM DOWN and ELIXIR. Currently completed is NEWT PAUSES, of east coast spotted newts. Coming soon is another film concerning newts, (specifically the California golden newt, Taricha torosa), 4 FINGERS, 5 TOES.